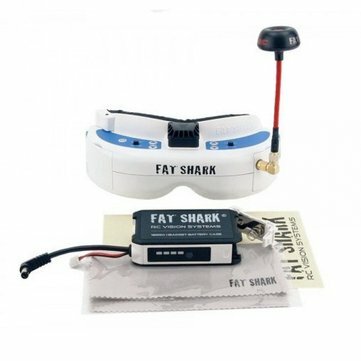 The Dominator V3 is one of the most popular FPV video goggles in the Dominator series from Fat Shark .The kit includes the workhorse Dominator V3 goggles, the FSV2442 32 channel Race Band receiver, a SpiroNET antenna and the FSV1814 18650 battery case -- all in one package. Simply add batteries and you're ready to fly. The Dominator V3 FPV goggle features an immersive 16:9 widescreen display for compatibility with HD content and HD digital video links. It supports side/side 3D content in (both analog and HD Port) and is NTSC/PAL auto switching. Integrated DVR records your analog footage and has playback function that may assist in lost model recovery. If the power is disconnected or the battery runs flat,the DVR will auto-save any recorded video,preventing a corrupted card or loss of data.